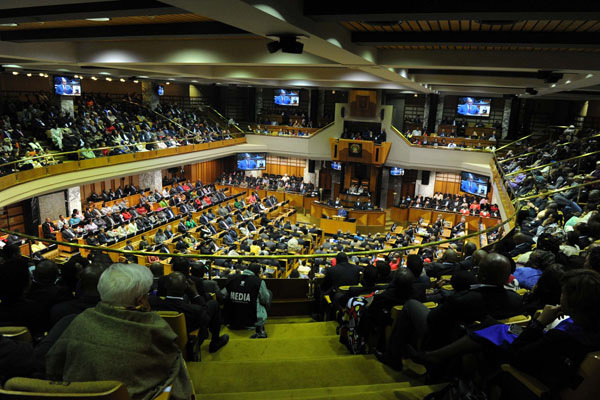 South Africa had its second State of the Nation address of the year on 17 June, after a new government was elected by the national ballot in early May. 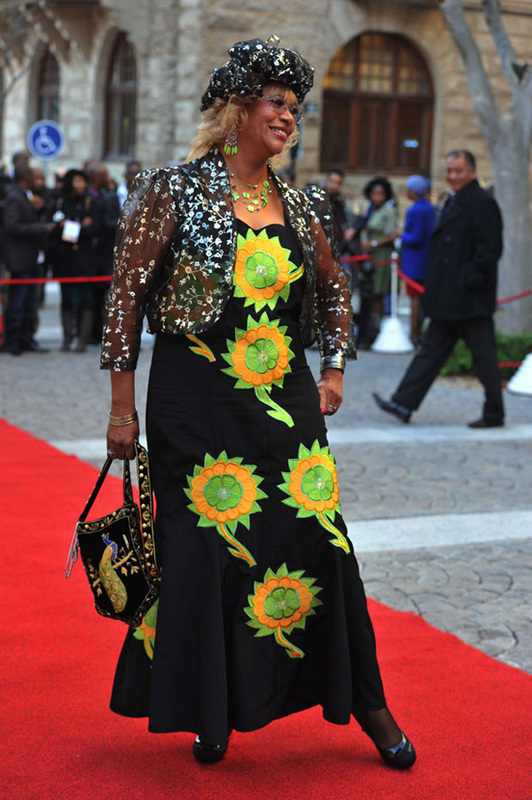 We bring you the red carpet fashion, dignitaries, guard of honour and more from President Jacob Zuma’s address to the nation in Parliament. All photos by GCIS. Members of Parliament and guests gather in the National Assemby Chamber of Parliament in Cape Town for the State of the Nation Address. 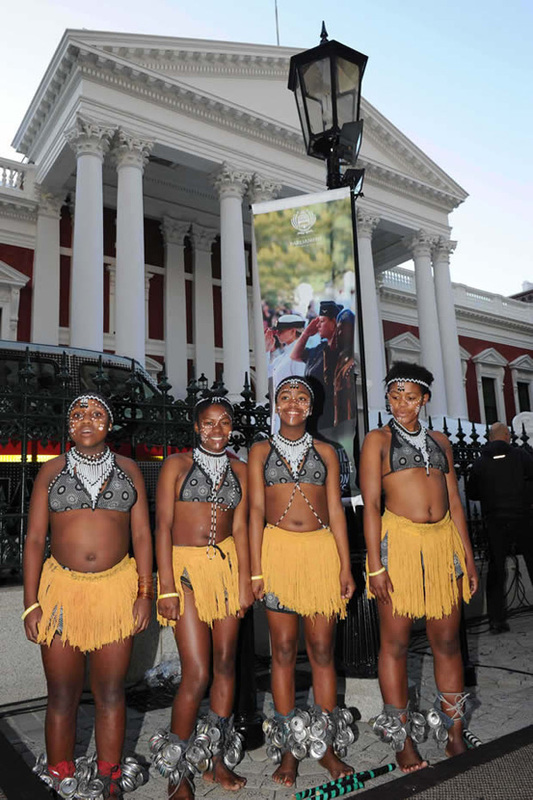 The youth guard of honour welcome State of the Nation Address dignitaries outside the National Assembly building at Parliament in Cape Town. 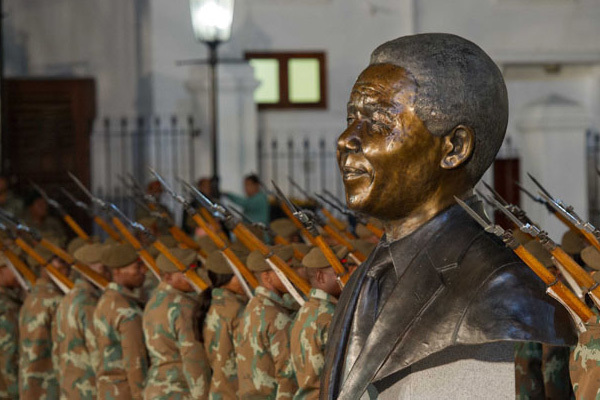 Members of the South African National Defence Force prepare for the State of the Nation Address, behind a bust of Nelson Mandela outside the National Assembly building at Paliament in Cape Town. 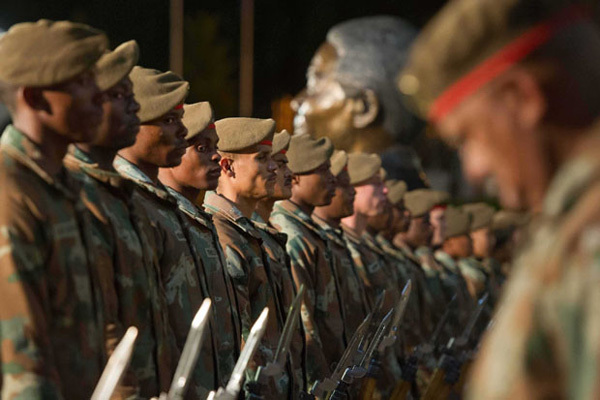 Members of the South African National Defence Force prepare for the State of the Nation Address, near a bust of Nelson Mandela outside the National Assembly building at Paliament in Cape Town. 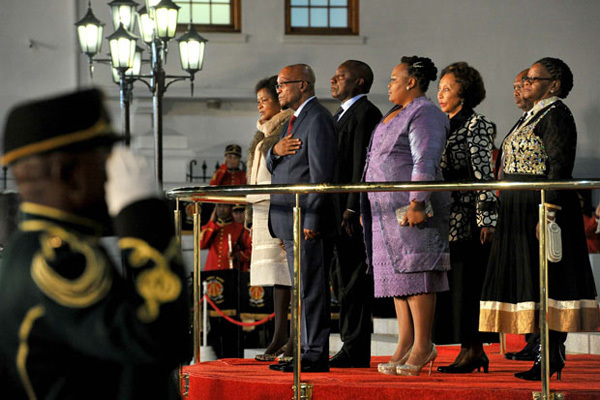 President Jacob Zuma, his wife Nompumelelo Zuma, Speaker of Parliament Baleka Mbete, Deputy President Cyril Ramaphosa, Deputy Speaker of Parliament Lechesa Tsenoli and Chairperson of the National Council of Provinces Thandi Modise observe the National Salute outside the National Assembly. 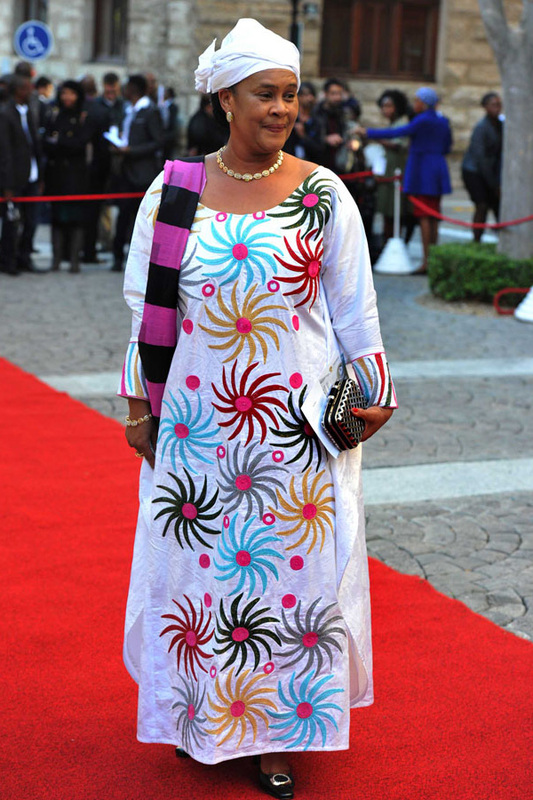 Politician Beverley Abrahams on the red carpet outside the National Assembley building in Cape Town. 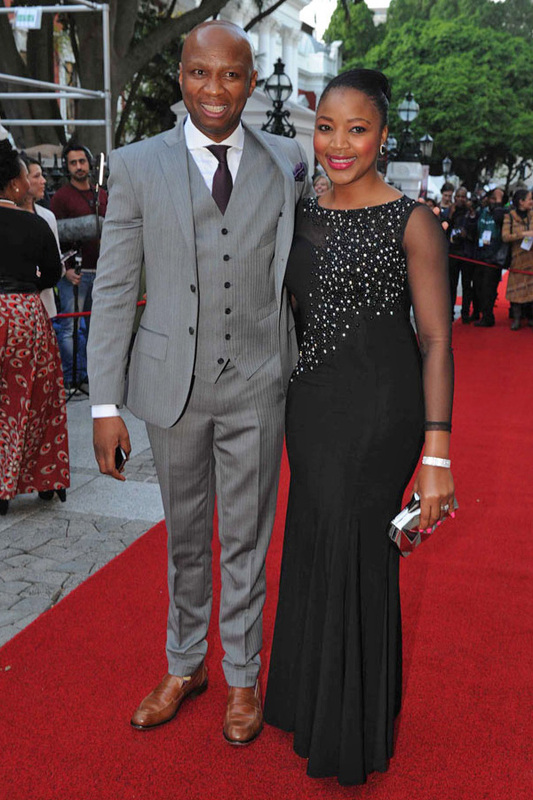 Nelson Mandela’s grandson Mandla Mandela, with his wife Nodiyala, on the red carpet. Republic of Guinea cultural attaché Maymuna Barry. 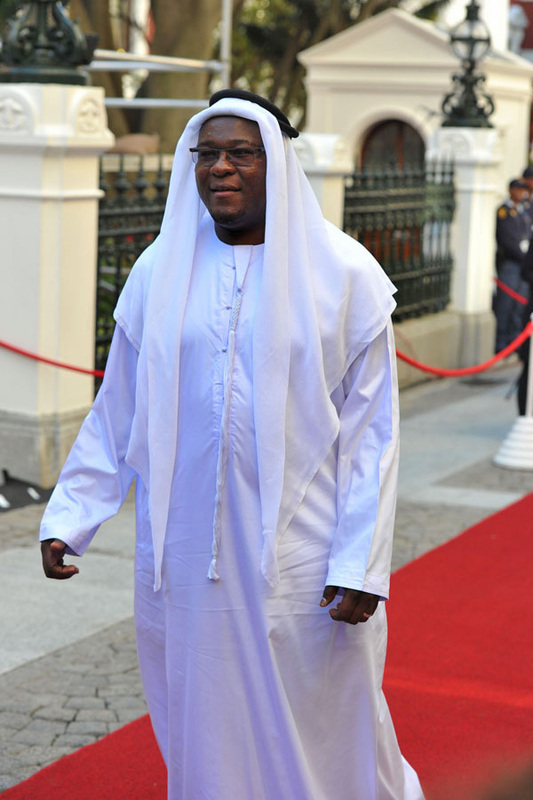 African National Congress MP Sibusiso Radebe. Kwaito stars Chomee and Arthur Mofokate. 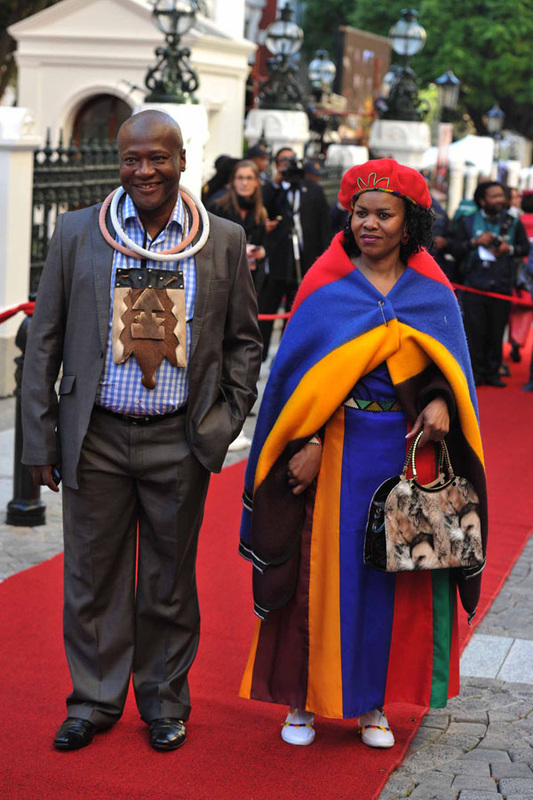 Deputy Minister of Communications Stella Ndabeni-Abrahams with her husband Thato. 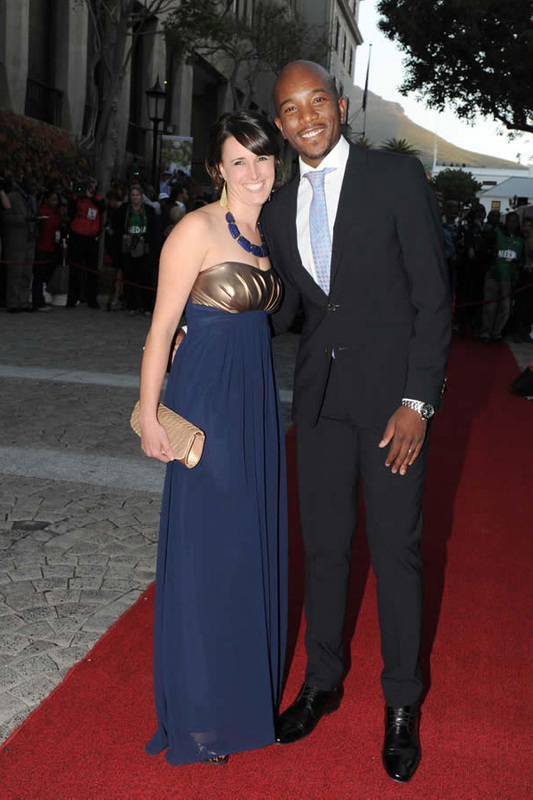 Democratic Alliance parliamentary leader Mmusi Maimane with his wife Natalie. 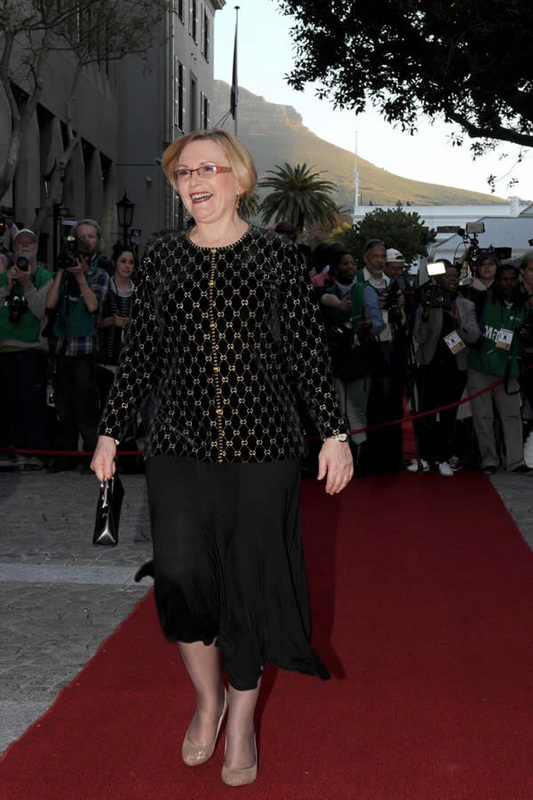 Democratic Alliance leader Helen Zille. 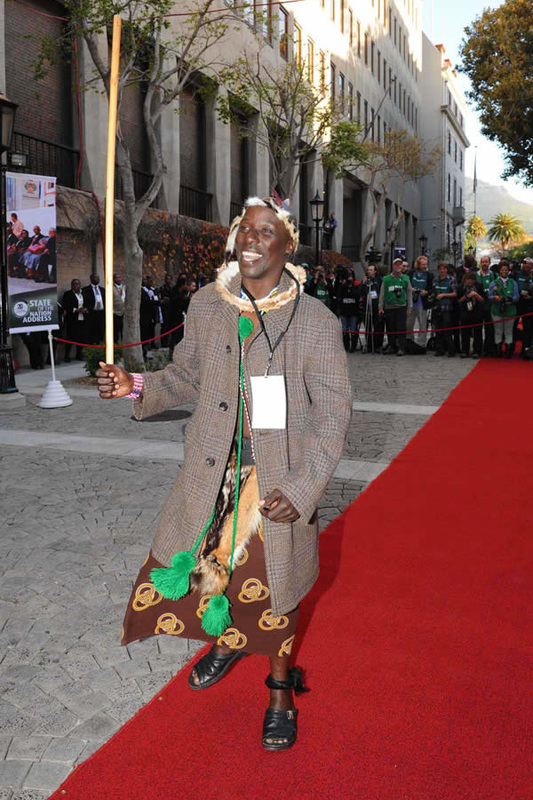 State of the Nation guests on the red carpet. 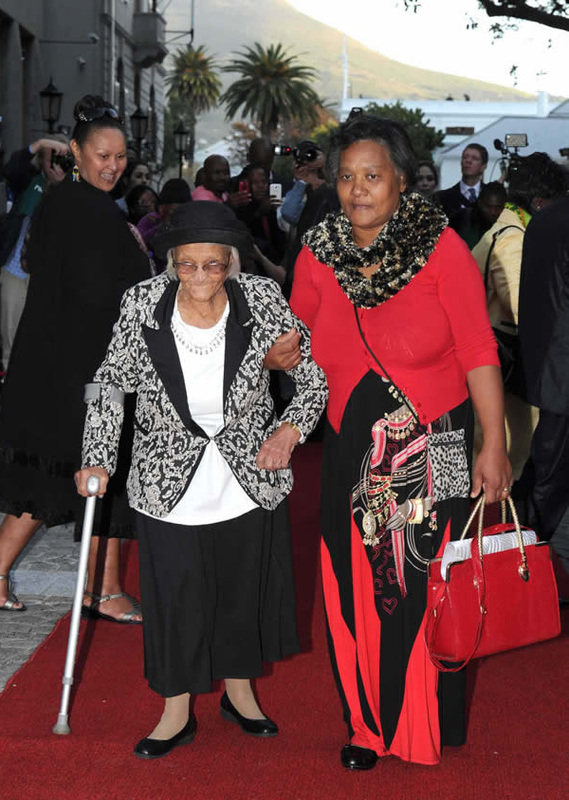 Ouma Anna Beukes from the Namastan clan, who is 100 years old, was a guest of the State of the Nation Address. 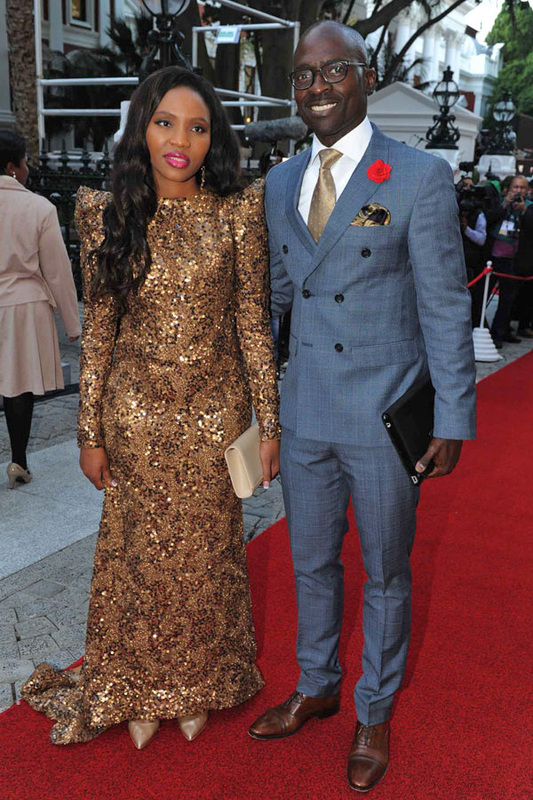 Minister of Home Affairs Malusi Gigaba and partner. 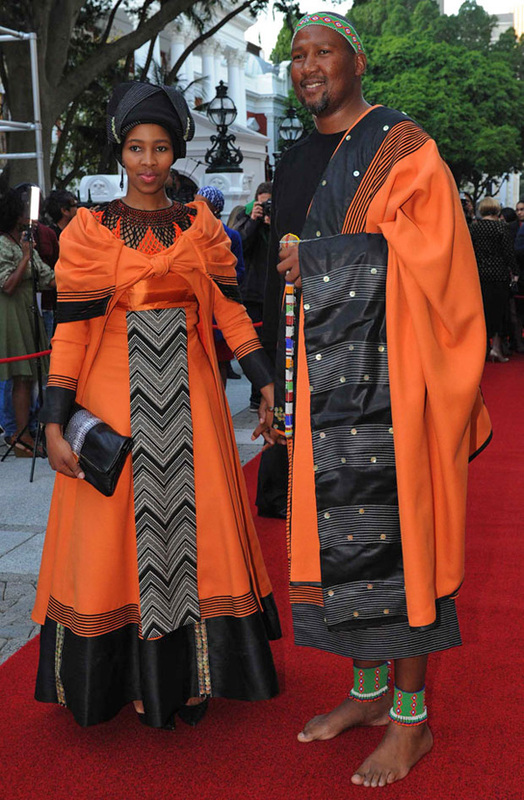 African National Congress spokesperson Zizi Kodwa with his wife Zama. 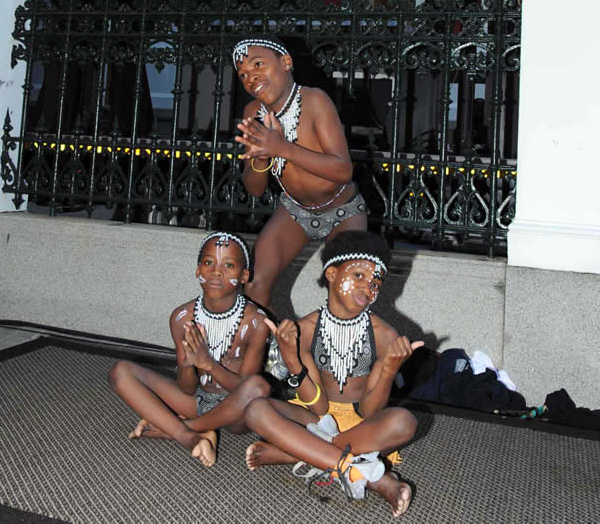 Members of the Buyelekhaya cultural group perform outside the National Assembley ahead of the State of the Nation Address. 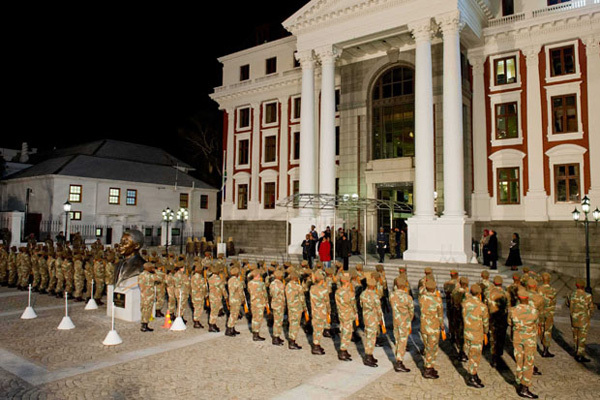 South African National Defence Force troops outside the National Assembly ahead of the State of the Nation Address. 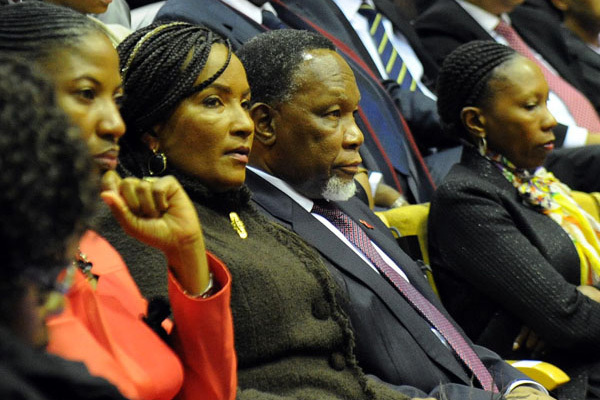 Former Deputy President Kgalema Motlanthe and his wife Gugu Mtshali listen to the State of the Nation Address. 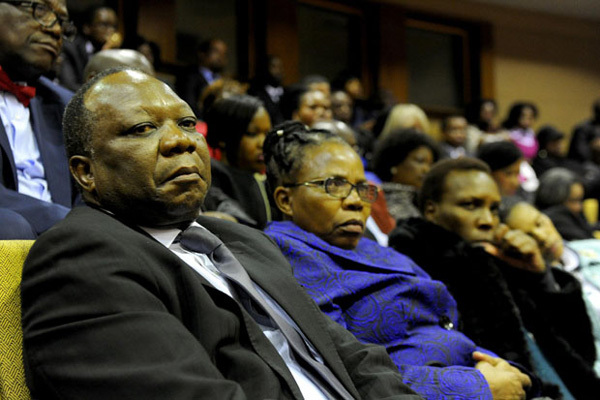 Mninwa Mahlangu, former chair of the National Council of Provinces, listens to the State of the Nation Address. South African President Jacob Zuma delivers his State of the Nation Address. A campaign to educate South Africans about the State of the Nation Address, at a taxi rank in Nelspruit on 17 June. 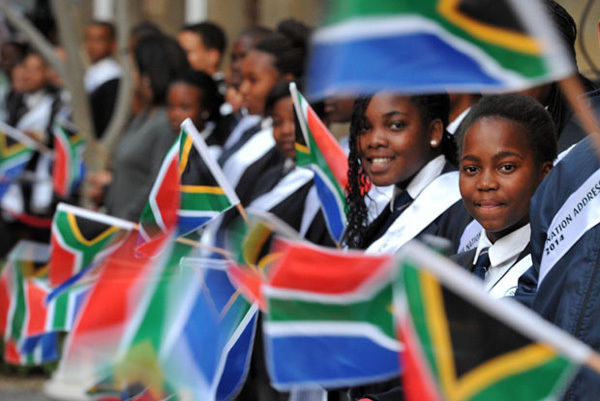 guard of honour and more from President Jacob Zuma's address to the nation in Parliament.